The Last American President | Looking for that Blessed Hope! Some prominent minds have suggested this is the year (2016) the Illuminate/NWO elite take over the United States. That could easily happen in a number of ways. The American dollar could collapse sending the country into an economic death spiral. There could be coordinated Islamic terrorist attacks, creating chaos on a mass scale. In either of those cases, martial law could be declared from which the country never recovers from. Thomas Horn has written extensively on this subject in a book entitled “Zenith 2016”, a fascinating read on the exposure of the Illuminati and their influence on the United States. Author/Lecturer David Flynn has also presented extensive study into end time events and the Illuminati. Below is one such short video. Donald Trump has achieved the Republican nomination for president and he seems to have created a division in the Christian camp. Either he is choice for president or not trusted at all. God in times past, has risen up kings to do His work whether for good or evil. Think Nebuchadnezzar and his conquer of Jerusalem and the rebellious nation of Israel. Somewhat of an enigma, only the Lord knows this man’s true intentions. One thing is clear, Trump is not a favorite of the NWO ruling elite. A secret meeting was held on Sea Island, Georgia in early March in a plot to stop Trump. One keynote speaker was Bill Kristol who said “The key task now, to once again paraphrase Karl Marx, is less to understand Trump than to stop him” and wrote ““A specter was haunting the World Forum—the specter of Donald Trump,” Kristol wrote in an emailed report from the conference, borrowing the opening lines of the Communist Manifesto.”” More on Bill Kristol later in the post. What is interesting about this meeting is that it was held a mere 10 miles from the secret meeting on Jekyll Island of November 1910 that established what is known today as the Federal Reserve. This institution has nothing to do with the federal government at all, but is rather a banking cartel represented by some of the most powerful family names and banks in the U.S. The late John F. Kennedy was assassinated by the ruling elite because he refused to bow down to their demands. An attempt was also made on the late Ronald W. Reagan’s life during his presidency. Recently, Glenn Beck and Brad Thor made suggestive remarks concerning Trump. You can read more in articles below. Glenn Beck, an avid Mormon, had also previously declared Ted Cruz the fulfillment of the Mormon Prophecy of the White Horse. Obviously that did not pan out, but more on that later. On the democrat side, for now it seems Hillary will take the nomination, but…Hillary is currently under FBI investigation for allegations concerning her emails in the Benghazi coverup. Here is in many ways, a scary and eye opening video on Hillary. Then there is the independent ticket. Bill Kristol, mentioned in conjunction with the secret Sea Island meeting, met with Mitt Romney two months later to discuss his run as an independent. Now it has been confirmed there will be an independent candidate for Novembers election. Will the independent be Romney? Mitt has long been the leading contender to fill the Mormon White Horse prophecy. The enemy in their ages long conspiracy to take over the world can state their objectives in a “non-biblical prophecy”. Thomas Horn covers this topic in detail. Here is a link for some extra reading. Arguably, this years presidential election will be the most eventful in the history of the United States. Will Trump make it to the actual election? Will Hillary have a criminal indictment regarding Benghazi and be forced to step down from her candidacy? Will Sanders “steal” the democratic nomination from Hillary? Will Romney be the last minute independent that takes it all? There are some other exciting events surrounding this election. January 20th, 2017 the new president will take office. 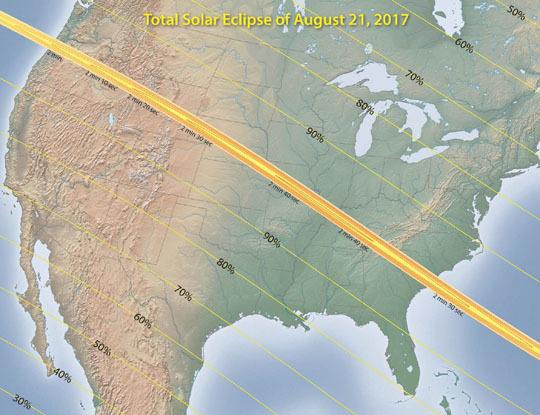 Exactly 7 months later on August 21st, 2017 will occur the Great American Eclipse, crossing the center of the United States. Rabbis attribute a solar eclipse to trouble for the world. There are still close to 6 million Jews living in the U.S. God’s Word says His people will return to Israel. Each passing year more and more return from various countries to their homeland. Will the Jews see the solar eclipse as a sign to leave the U.S.? On a side note, as Christians we must not forget that signs are for the Jews. This author made the mistake of getting caught up in the recent Blood Moon frenzy. God’s Word is clear on this. Did ever people hear the voice of God speaking out of the midst of the fire, as thou hast heard, and live? Or hath God assayed to go and take him a nation from the midst of another nation, by temptations, by signs, and by wonders, and by war, and by a mighty hand, and by a stretched out arm, and by great terrors, according to all that the LORD your God did for you in Egypt before your eyes? Unto thee it was shewed, that thou mightest know that the LORD he is God; there is none else beside him. Deut. 4:33-35. And finally, the author does not put complete reliance on the meaning of biblical numbers as doctrine, but the following are truly fascinating nonetheless. The number 44 represents “MURDERERS: Secret Plots”. From the birth of the U.S in 1776 to 2016 is 240 years. The number 240 means “HOLY THINGS LOST”. This entry was posted in Uncategorized and tagged Clinton, Presidency 2016, Romney, Sanders, Trump by atharris. Bookmark the permalink. Pingback: Trump | Looking for that Blessed Hope!